46" Horse Weathervane - a magnificent 46" high - full bodied Horse ornament - weathervane available in three finishes - gold bronze, verdigris or copper. Each 46" Horse Weathervane comes with an aluminum roof mount base. 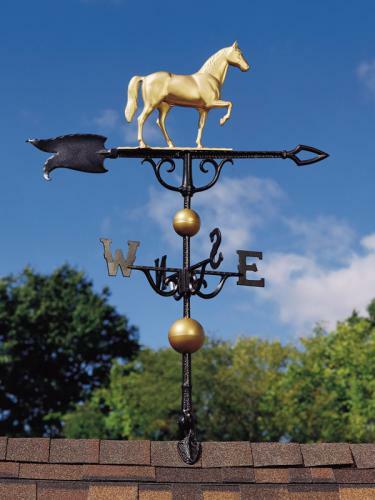 This beautiful Horse Weathervane will be a wonderful adornment to the rooftop of your home or stable. Please allow 3 Weeks.